I WANT TO TAKE A CLEP EXAM . . . WHAT DO I DO NOW? CLEP testing is offered locally at the University of South Alabama. Please visit www.collegeboard.org/clepfor contact information to register to take a CLEP exam at USA and for more information on the content and format of any of the CLEP exams. You can also find all possible testing locations from this site as well. For more information, please contact Ms. Darlene Smith in the Registrar’s Office at 251.442.2541 or dsmith@umobile.edu. University of Mobile allows students the opportunity to earn course credit by examination in specified circumstances. A maximum of 30 semester hours of credit by examination may be awarded. Credit obtained in this manner will not be considered in the computation of GPA. Credit by examination may be awarded by 1) challenge examination, 2) College-Level Examination Program (CLEP), 3) Advanced Placement (AP) Examinations, 4) International Baccalaureate (IB) Diploma Programme, and/or 5) Defense Activity for Traditional Education Support (DANTES). More information about credit by examination may be obtained from the Vice President for Academic Affairs and/or Registrar. Additional information can be viewed in the University of Mobile Catalog or on the University’s website at www.umobile.edu. With the permission of the instructor and of the director of the center or dean of the college or school or in which the course is offered, a student may request course credit by challenge examination. The student must then apply for the challenge examination through the registrar’s office. Credit for the examination will be recorded on the transcript as challenge with the course number identified and pass/fail credit noted. No letter grade or hours attempted will be recorded. Students who have failed a specific course may not apply to attempt a challenge examination for that course. Upon request, the Academic Affairs Committee will review extenuating circumstances. A testing fee and a fee per course will be charged for each course challenged. These fees should be paid to the Business Office prior to taking the exam. Satisfactory scores on the College Level Examination Program (CLEP) examinations are to be accepted as a substitute for and as successful completion of the corresponding courses at the University of Mobile. A satisfactory CLEP score will earn as many hours of credit without a letter grade as the course carries for which it substitutes.  A test score that is five years old or older may not be recorded on a student’s transcript at the University of Mobile. Once a CLEP score has been recorded, however, it will be recorded as permanent credit. A student may not apply CLEP credit when this credit duplicates that which a student has already earned through coursework (including D’s and F’s). A mean score of 50 is accepted unless otherwise stipulated. No charges are made for credit granted under the CLEP Program; however, a fee is charged for recording a course on a student’s record. More information about CLEP exams accepted by the University of Mobile may be found through the office of the registrar. More information about CLEP examination testing sites, testing procedures, and the descriptions of the examinations may be obtained from https://www.collegeboard.org. CLEP examinations accepted by the University of Mobile are listed below. Satisfactory scores on the Advanced Placement (AP) Examinations are to be accepted as a substitute for and as successful completion of specified course at the University of Mobile. A satisfactory AP score will earn as many hours of credit without a letter grade as the course for which it substitutes carries. A test score that is five years old or older may not be recorded on a student’s transcript, but once recorded it will remain permanently. No charges are made for credit granted under the AP Program; however, a fee is charged for recording a course on a student’s transcript through the office of the registrar. More information about AP examinations and the descriptions of the examinations may be obtained from https://www.collegeboard.com. Credit accepted for Advanced Placement Examinations by the University of Mobile are listed below. Scores of 4 or better in higher level courses on the International Baccalaureate (IB) Diploma Programme (a rigorous pre-university course of studies, leading to examinations) will be considered for university credits for equivalent courses at the University of Mobile. Scores of 3 on higher level courses will be considered for placement purposes. No credit is awarded for Subsidiary level courses. The DANTES Program is a testing service conducted by Educational Testing Service (ETS) that makes use of the Dantes Subject Standardized Tests (DSSTs), a series of tests in traditional academic, vocational/technical, and business subjects. These DANTES tests are introductory college level tests in more than 50 subjects, reflecting a wide range of fields and a variety of learning situations. The mission of DANTES is to help service members obtain non-traditional educational opportunities, including sponsoring and administering tests that provide military personnel with the opportunity to gain admission to college, obtain academic credit, and receive professional certification on the basis of independent study and on-the-job experience. More information about the DANTES examinations may be obtained from their website. Credit accepted for current DANTES Subject Standardized Tests by the University of Mobile are listed below.